In my continued adventures of cupboard cleaning, here’s something I’ve had primed and good to go for ages but never got round to painting. I can identify two reasons for that; it’s not a particularly interesting model nor do I have any idea at all how to use it. I have plenty of vague ideas, of course, but there’s nothing that triggers my imagination about this model. So why the hell have I painted it? I have no idea, really. I can’t remember how it turned up in my collection, and I can’t remember why I picked it out and primed it. Now it’s painted and I can tuck it away at the back of the display cabinets. So, what is it? 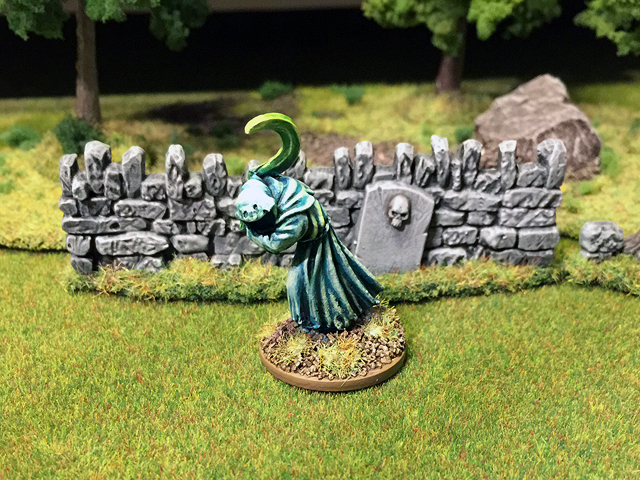 It’s a slime from the eclectic C18 Night Horrors range. Yup. A “slime”… some sort of license-less proto-shoggoth from back in the days when Citadel produced the rather Lovecraftian range Gothic Horror in an attempt to bag an official Call of Cthulhu license. It didn’t pan out and this guy got dubbed The Slime. Poor guy! The model is more or less painted with a single paint (Vallejo Game Pale Flesh) which I’ve just washed repeatedly with various red and purple washes. I want it to look more like a freak mutation (or possibly chaotic) than an alien or eldritch species. It’s a bit low on contrast and not very “discernable” but at least I have a tentacled thing on two legs that looks like he could use a dash or two of some soothing ointment. 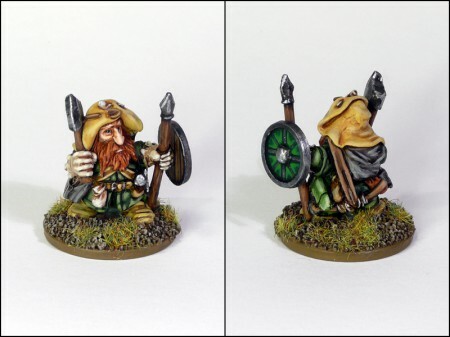 I finally managed to dislodge my thumb from my arse and got on with painting this dwarf for an online buddy with whom I traded painting service for lead. 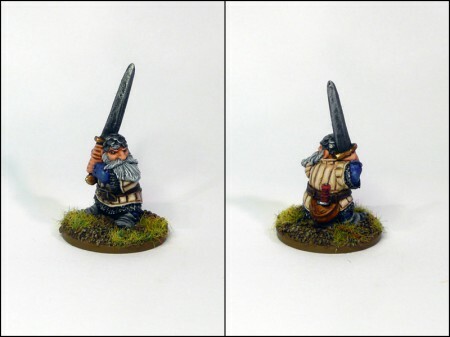 It’s yet another dwarf adventurer by the Perry brothers, so old vintage Citadel. I really struggled with getting started on this guy but once I got dug in it nearly painted itself. I must say I’m really happy with how it turned out and I’m a bit sad to see it go. I said this would be my last commission piece I paint for someone, but I’m afraid I might get suckered in again with another possible offer of some desirable lead. Sheesh, I’m like a magpie with lead. Just can’t say no. Here’s a photo of the guy above together with his mate, fighting off a few vicious tomb guardians. 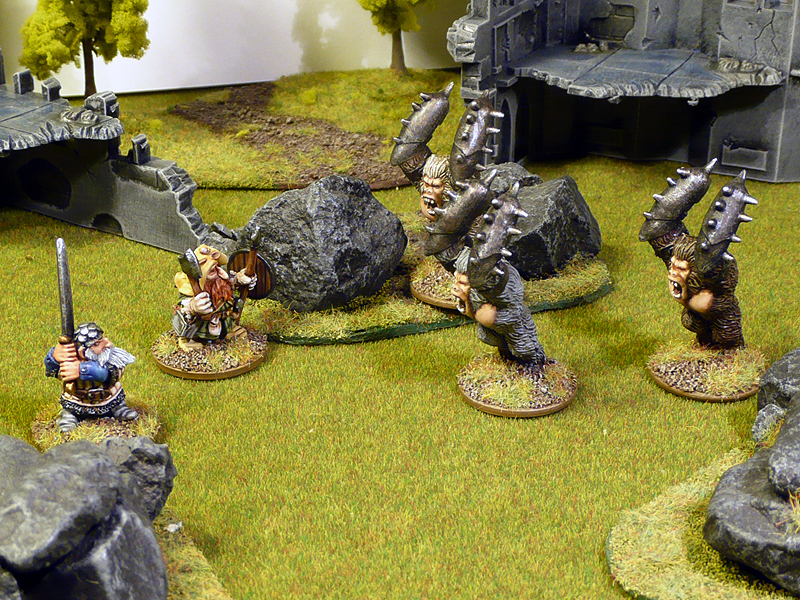 Over on LAF there’s a painting club going, with the name (and theme) “It’s Alive!”. I’m resurrecting my thread on the Stillburg project, which is my now stalled fantasy campaign for Song of Blades and Heroes that my cousin and I have played a few games in. It’s actually what I begun with when getting back into miniatures some years ago. 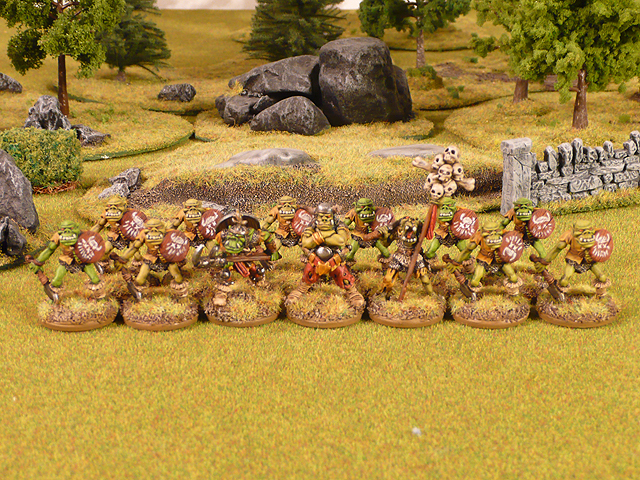 With only a handfull miniatures left to call it done, this painting club coincided well with my own plan for a year of cleaning out old half-painted or stalled projects from my shelf of primed lead. The first of ten miniatures in the Stillburg backlog is now finished. I went for this ghost (actually a Nighthorrors range Wraith, but never mind) as it fit well with another current painting club, on the Oldhammer forums: I’ve never painted a… before. This is my first attempt at an ethereal model. Not chuffed, but it’ll have to do. 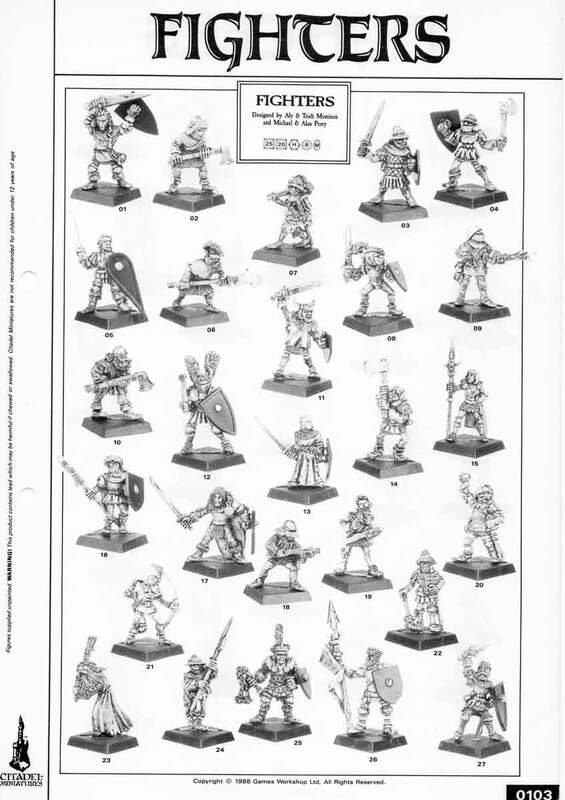 Jon from Magpie and Old Lead made a keen observation; the body is that of the Fighters range flagellant (see bottom left in this page). Oops, almost missed the window for a post in September. Can’t have that! The summer have been very low on hobby activity. 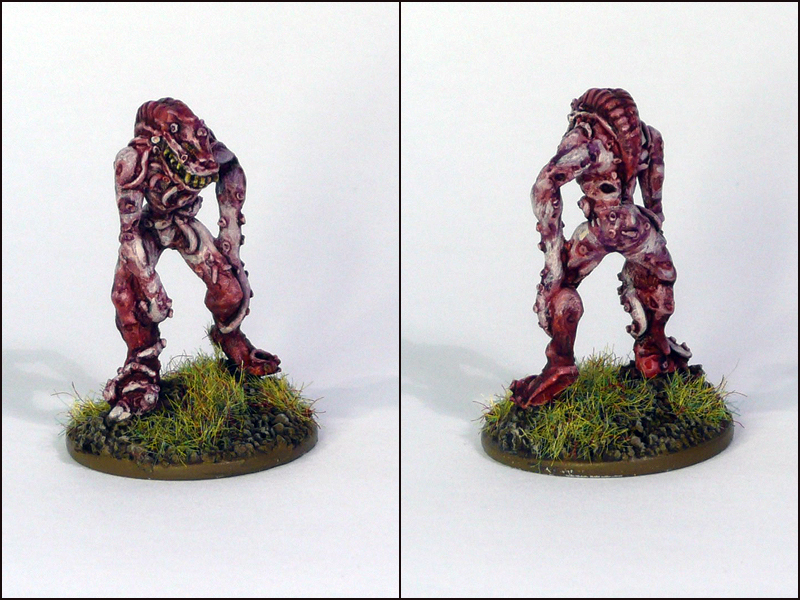 Here’s a model I painted quite a while ago but haven’t got around to post up here. 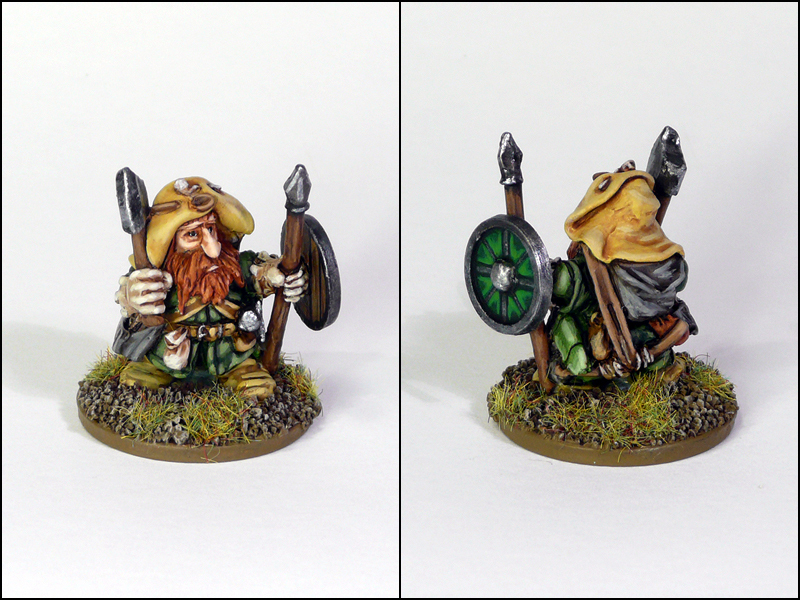 It’s a classic 80s Citadel dwarf that I’ve painted for a friend – who most likely hates my guts for not painting faster! I still have another to do, still half painted – and I think it’s more than a year (if not two) since I got these from him to paint. I’m a bit ashamed, to be honest. “Can’t hurry genius” he said. Well, you obviously can’t hurry lazy louts either. I am genuinely sorry for the time this have been taking me, Adam! 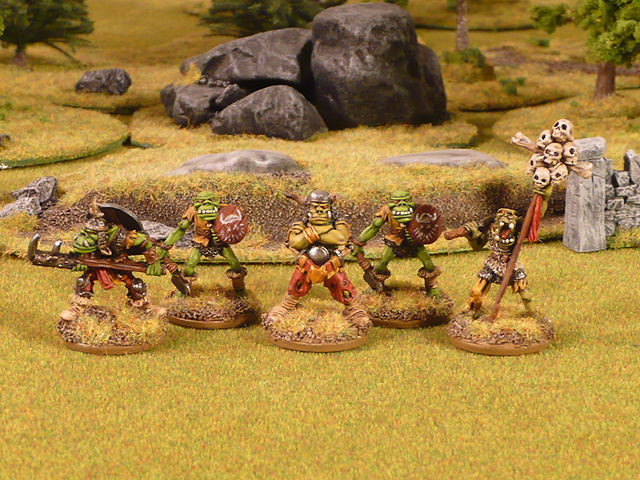 I actually managed to finish painting the remaining five orcs last month, before the end of Orctober – alas I had no time to post about it on the blog. I still haven’t had time to take proper photos, but I figured I’d put these up for now and once I finish the last guy of the regiment (the musician, who is still in the stripping jar) I’ll come back with a full write up and detailed pictures.